This is the 4th part of Trisquel 8 manual for beginners. It's continuation to the 1st, 2nd, and 3rd parts. 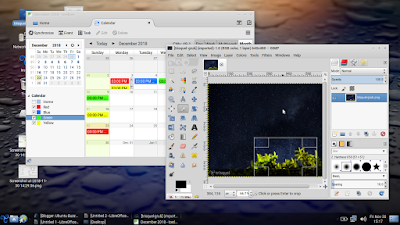 Now, it's time to be productive: by examples, you will learn how to create colorful schedules (with Icedove), make a text document (with LibreOffice Writer), and edit a photo (with GIMP). I hope you can develop more creativity by trying these. Enjoy! Click the '7' icon on top-left corner. You see a blank calendar of one month. 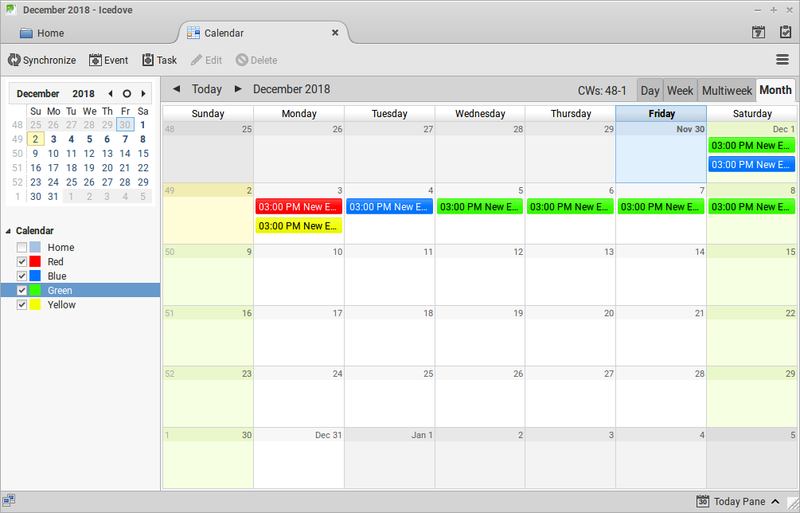 Create new calendar "Local" > select a color > OK. Repeat for other colors. Make sure you have some colors available. Double-click a date > choose a calendar > give it a title > OK > a schedule with selected color created. Repeat for other schedules. 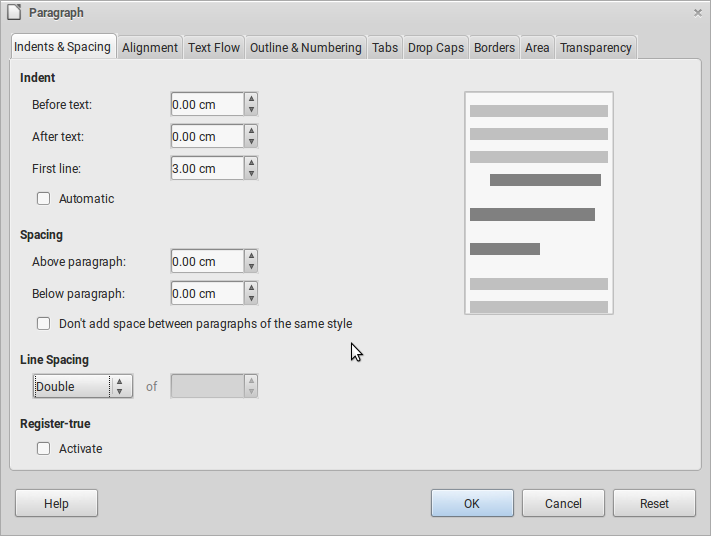 Basic things about making text document are two things: page format and paragraph format. 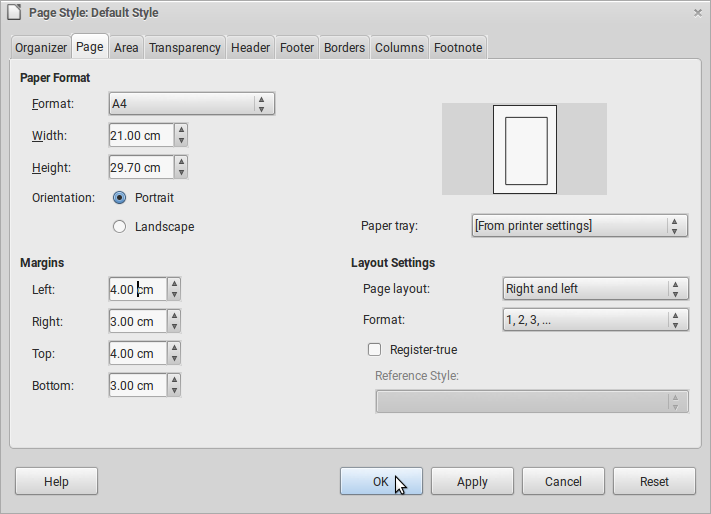 Find them on menu bar Format > Page and Format > Paragraph. Page type such as A4, A5, F4, Legal, Letter, etc. Line spacing such as single, double, 1.5, etc. 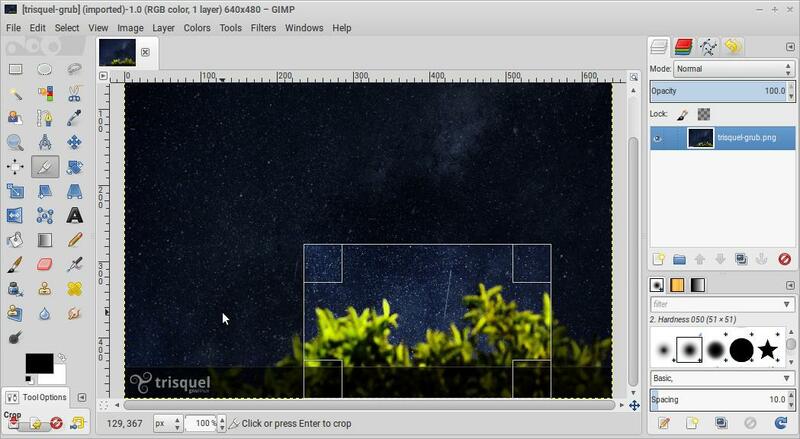 Right-click a picture > Open With GIMP > picture opened. That's all. By these basics, you can develop your creativity to make more. Enjoy Trisquel!